Do you need cash but have been turned down by banks and other lenders because of bad credit? Stop worrying about your bad credit. At Casino Pawn and Gold, we specialize in bad credit loans. Your credit score, prior payment history, and even your bad credit mean nothing. We only look at your collateral, so bad credit is not relevant. 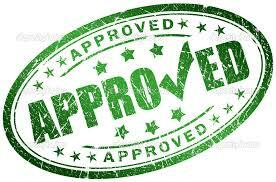 There really is no credit required when it comes to getting approved for one of our auto title loans. We are quickly becoming Casa Grande's NUMBER ONE pawn lender and through our relationship with Phoenix Title Loans, LLC, we hope to become the area's leading auto title loan provider. Our professional and courteous staff has years of experience dealing with bad credit loans. We work with people who have bad credit and a need for quick cash without questions, unnecessary paperwork or problems. Our lending group does 1000's of loans every month to people like you! All without the hassle of a loan application with Phoenix Title Loans, LLC. Bad credit loans are simple because we don't even consider your credit, with no credit required at our pawn shop in Casa Grande. We never have and we never will. So how do we do this? The beauty in a pawn loan is that it's a form of collateral loan allowing you to take anything even remotely of value and turn it into cash. This means everything from jewelry to old electronics to shoes can get you cash in mere minutes at Casino Pawn and Gold. Our Casa Grande Pawn Shop specializes in helping people secure funds when traditional loan institutions simply won't help them. This typically always applies to those with bad credit, but all we require is one valuable item and you still retain the opportunity to get the item back. A pawn loan makes your assets liquid in mere minutes. Feel free to give us a call and see if we're able to loan you the cash you need. We are nothing like other stores that give you a turn down based on your history in Casa Grande. We are here to approve loans, figure out what you can afford, and make this work for you. We can make bad credit loans on anything of value in including a title loan on a vehicle that you own. We can do a loan on a vehicle that you are looking to purchase, or a loan on anything you have of value. Our ability to make bad credit loans on anything of value makes us unique. You are our most important customer and you will not be turned down. Bad credit won't even slow you down -- the only requirement for a loan is that you have something of value for us to lend on. Stop by today and get the cash you need for whatever your need may be! We also serve the Coolidge, Eloy. Maricopa, Arizona City, and Florence Area. Have unanswered questions? Visit Phoenix Title Loans, LLC's page on Bad Credit Loans!